Xtreamer, well-known producer of network HD media players, recently launched new device – Xtreamer Ultra. But if you check its spec you may see that it doesn’t look like previous Xtreamer players. The Xtreamer Ultra sports Intel Atom D525 (dual-core 1.8GHz) processor, 4GB DDR3 memory, NVIDIA ION2 (GT218, 512MB DDR3), eSATA, 6 x USB 2.0 ports, 2.5-inch SATA drive bay, DVI-I, SPDIF, HDMI with 7.1-Channel digital audio BitStreaming + LPCM, external IR, and Gigabit Ethernet. Plus optional external 802.11n adapter will be available soon. So, actually the new Xtreamer product is Ion nettop like Zotac BOX, Acer AspireRevo or ASRock Ion330 HT. But the producer offers a good price – $200 in US and €200 in Europe, thanks to aggressive marketing strategy. Just install there XBMC or Boxee and you’ll have a small, quiet but power HTPC. The Xtreamer Ultra is demonstrated on CeBit 2011 in Hanover. If you cannot visit it you may see its photos in the Engadget gallery. 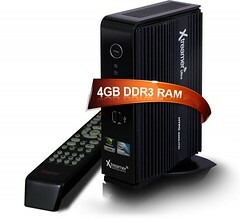 Company Xtreamer released its new network HD media player iXtreamer with unique feature. It sports iPad/iPhone/iPod Touch dock which allows to playback media content from Apple devices on your TV. But even you don’t have such devices still iXtreamer can be an option. Except common features such 1080p video playback from internal 3.5″ HDD, attached USB storage or network shares, connection to network using USB WiFi adapter, HDMI/Component/RCA/SPDIF outputs the player supports DTS MA and Dolby TrueHD with 7.1 channel audio, HD MKV files and Blu-ray ISO rips. it also compatible with Logitech Harmony universal remote controls. Attractive design and reasonable price in $226 are also plus. So, don’t miss a chance to take that great device! According to information for eHomeUpgrade the probably cheapest networked media player Xtreamer will have possibility to control it from iPhone or Android devices soon. Together with very reasonable price and wide functionality it’ll bring more users and fans to that cool player. 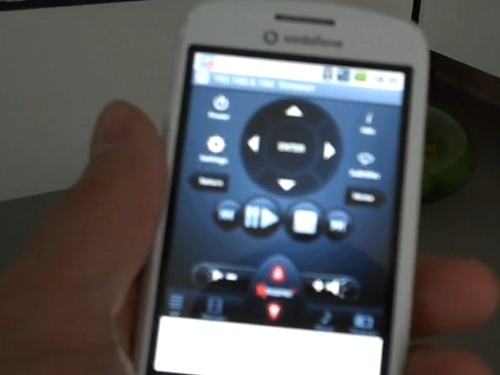 Watch the demonstration of the iPhone/Android remote on the video below.